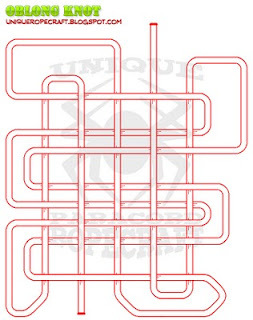 The easiest method of learning to tie this knot is to pin it out on a board following the diagram below. Note that in my example I cut and singed one end and made a loop and tucked it inside the inside the knot with the other, the original would have a strand on top and bottom. 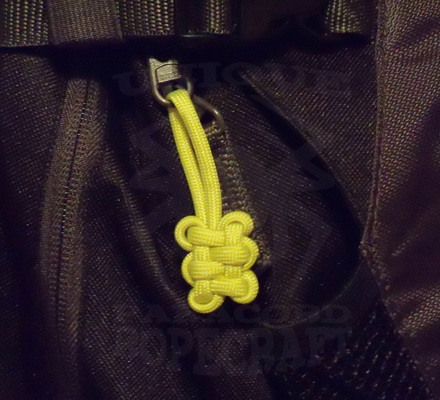 This is just another example of tweaking knots to fit your needs, I also tied a Chinese Cloverleaf zipper pull in this same manner. 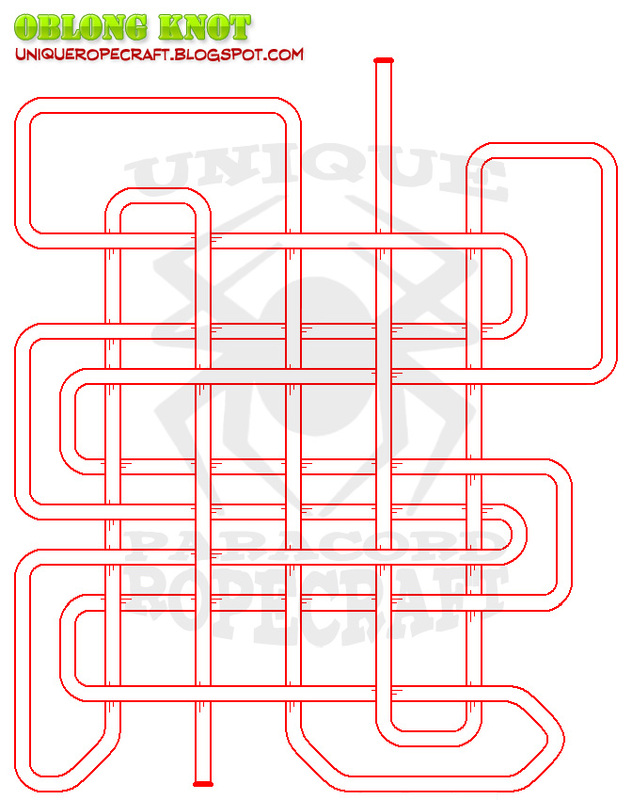 Double-click the image to see the full size, you may want to print it out and pin your cord straight to the image.